The day is upon us! Slate Virtual Buss Compressors (Review Here) and the new and improved Slate Trigger 2.0 are now available as AAX64 Plugins which means that you can now use these two ground breaking plugins on Pro Tools 11. All the more closer to being able to make the full switch! Also Trigger 2.0 comes with some improvements and is actually available FOR FREE to anyone who owned it already. A huge thanks to everyone at Slate Digital on that one for sure. Steven Slate TRIGGER has become the industry standard drum replacement tool and has been used by some of the top mixers in the world to enhance their drum sounds. TRIGGER 2.0 continues the tradition of this amazing drum replacement technology and adds even more functionality such as an even more foolproof replacement engine, 2 more slots for a total of 8 sample slots. a completely redesigned GUI, a new browser with audition, completely automatable parameters, linking curves, and a world class transient driven noise gate on the Platinum Edition! And of course, TRIGGER 2.0 is full 64bit Mac/PC and AAX 64bit for Pro Tools 11! TRIGGER users, your update is available in your account and you can download it for FREE! 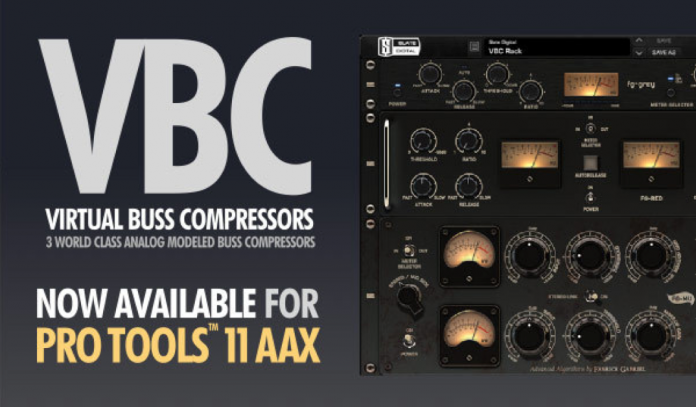 The Slate Digital VBC was the fastest selling Slate Digital plugin of all time, and the reviews have been quick to call it the most versatile and analog sounding mix compressor bundle that has ever been heard in a plugin! And because the VBC was coded DIRECTLY into our new 64bit framework, we were able to update it into Pro Tools AAX 64bit quickly and efficiently! VBC users can log into their accounts and download it for FREE! To our valued customers, we know that you want more of our legacy plugins to be ported to 64bit and AAX, and I promise you that we are working around the clock to get it done. VTM – This plugin is likely next in line, and we’re making great progress. VCC – This is a very difficult port due to the complex communication system and because we are fixing some internal issues, but we have some ideas that will help speed the process up quite a bit. We will be implementing these ideas next week. We know how many of you rely on this plugin, and we are doing everything possible to expedite the 64bit AAX delivery. FG-X – This is our most complex plugin to port to the new framework. There are several reasons behind this. It was our very first plugin and the code is not nearly as efficient as our newer plugins, and therefore it is being completely rewritten for our new framework so that the updated plugin will have a dramatic decrease in CPU hit, and also work even better. Folks, we’re in the process of increasing our DSP and Software Development team so that we can provide you with these updates as soon as possible. Fabrice and I have been working on new plugins, and you’ll see some announcements at AES about this, but be assured that this does NOT mean that we don’t have extensive resources reserved for porting legacy plugins in parallel to these new releases. Your loyalty and support means everything to me, and I will not let you down. The new 64bit plugins are certainly coming late and for this I apologize, but my promise is that they will work even better, be more efficient, and continue to provide amazing sound for your mixes. I’m available at slate@stevenslate.com and I will admit that I’m pretty backed up due to late nights at the office with plugin development and RAVEN development, but I do read everything and try to get back to people as soon as possible. This is NOT for tech support (please see that link below). I will be at AES in NYC and hope to hang with many of you.. more news on AES next week.